Sugarloaf, CA, November 7, 2016 – Following investigative leads of possible narcotics sales, the Multi-Enforcement Team and Patrol Deputies of the Big Bear Sheriff’s Station served a search warrant at a residence in the 300 block of Riverside Avenue in Sugarloaf shortly before 8:00 a.m. on Wednesday, November 2, 2016. Suspects Gary Simrak, Erica Wilson, Jericho Redhawk, and Justina Bowden were found to be inside the residence at the time the warrant was executed. 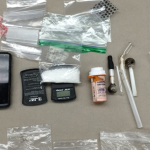 During the search, Deputies seized a large amount of methamphetamine, heroin, hypodermic needles, and packaging that is consistent with sales of illegal substances. 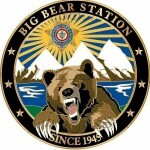 All four suspects were arrested without incident and booked into the Big Bear Jail. Gary Simrak was booked on a felony charge of possession of narcotics for sale. Additionally, a records check revealed that Simrak had an outstanding warrant for possession of narcotics for sale and probation violation. Simrak remains in custody without the possibility of bail, pending arraignment. Erica Wilson was booked on felony charges of possession of narcotics for sale and maintaining a drug house. Wilson remains in custody in lieu of $50,000 bail. Simrak and Wilson were scheduled to appear for arraignments hearings on November 4, 2016 at San Bernardino County Superior Court. Jericho Redhawk was issued a misdemeanor citation for possession of paraphernalia. Justina Bowden was issued a misdemeanor citation for possession of narcotics. Redhawk and Bowden are scheduled to appear in court on January 5, 2017.